Beryl I only know one person who got a job from a self-tape. It’s hard – you can film and perform it as beautifully as possible, but the casting director doesn’t get to meet you. Jenny I find camera auditions difficult. Put me on set and I’m fine, but otherwise I’m frozen with self-consciousness. So the last self-tape I did I took my lenses out and had a glass of wine. It was the best I’d done. Beryl ’ve thought I’ve done a really good job and never heard anything. Thomas o you have the right equipment to record them? I know some (usually very young) actors who go out and buy decent cameras and have a whole set-up. Beryl wouldn’t bother with all that – it’s too much to ask. I use my iPad. Jenny usually just use the phone camera propped up and put the “big lights” on. There are different schools of thought, but a casting director I really trust said it’s about the actor not the technology. They need to see you and your acting. Tina hen self-taping, don’t overanalyse or do too many takes. It’s so easy to try to perfect your tape but you can destroy it by being too self-critical. Beryl ome folk love doing them because you avoid the meeting. I prefer to meet. Albert elf-taping is so much nicer than a trip to Elstree. Beryl ut Elstree’s lovely. I’ve never had to self-tape for there. Jenny s someone who lives out of London, I find it helps not having to buy train tickets. Thomas n actor I know did a self-tape and had to upload it to a private YouTube or Vimeo page, sending passwords to the casting director. He checked it once to see it had uploaded properly. A few weeks later he noticed the viewing count had not moved off the one view he made – no casting director had ever watched it. Beryl hat’s rotten. That casting director is clearly not doing their job. Thomas ’m assuming you’ve never done a self-tape for theatre – only for screen? Albert know a young actor who recently self-taped for The Libertine. Thomas nteresting. Were they in another country to the director? Or not available for the casting sessions? Albert think they just asked for a self-tape. Perhaps she wasn’t available. It was for the first round of auditions. Beryl ’ve never self-taped for stage, only screen, though I was put on video during a theatre audition once when the director was away. I was livid – you can’t gauge a theatre performance from that. Albert he Actors Centre has a set-up for £20 for half an hour with lights, backdrops and tripods and mikes, and I saw a young actor advertising the same service on Facebook for £20 – he could come to your own home. Thomas s the Actors Centre one well used? Albert es – the more people go in there to use it, the more it gets known. But it has to be cost-effective – £20 is the price of a day return to Elstree so it’s worth the effort. There are nicer shops in Covent Garden, too. Ted here are now many options for filming as the process becomes more popular, but a great tip from a very successful TV actor friend is to get your agent to film you. If time and friends’ favours are tight, he pops into the office and films it there and then with someone who can be a real third eye for him. It’s slightly more objective than your wife filming you in the kitchen at 10.20pm. Beryl ’d always do it at home and not pay – paying to audition is essentially what you end up doing. I know Spotlight does something too. Albert potlight is £80. It’s way overpriced. Thomas 80? For one casting – that’s never going to work. Beryl uch! I still would prefer to put myself in a room with people I may be working with, frankly. I want to know what they’re like. Thomas o you have any tips for actors who may never have done a self-tape before? Should they work with a friend? How should they light it? Tina o just as much prep as you would for an audition in the room. 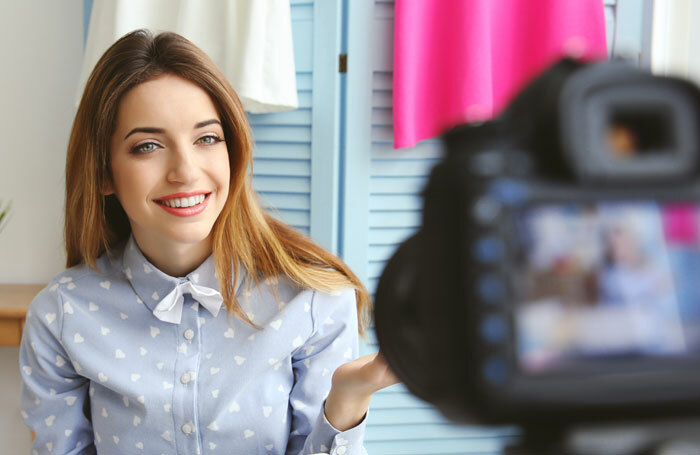 Self-taping is increasingly common so it is important to give everything to your tapes. Do five takes at the most. Ted ighting – that’s my major one. Make sure it’s bright and light and certainly against a white wall (we film ours in the kitchen with spotlights pointing towards us). Make sure you aren’t upstaged by anything in shot either – bookshelves, paintings, piles of ironing. Beryl et a mate to read in with you, check lighting and camera angles. Don’t pay to audition if you can help it. Albert ou can always buy a tripod and backdrops and lights.